Antwerp and her citizens were the victims of the massive attack by V2 rockets at the end of the war. Except at the Stampe Museum in Antwerp there is no place where the courage of the city and her inhabitants is remembered. Thanks to the net, the story can be told. Antwerp, "City of Sudden Death"
A solution was found so that in particular Brussels Airlines can work in the conditions of a healthy competitors with the other air companies. Many of us know Sylvain De weerdt, the very active AOPA representative for Belgium. He publish a blog full of useful information. We added a link to his latest news published. 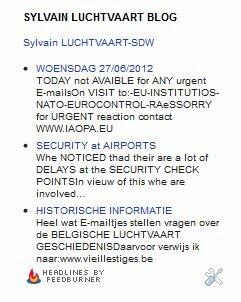 You can find these information on the right side of the Belgianvainaviationnews.be blog. Photo & Video material needed of former Arlon Victory Memorial Museum Dakota F-BAIF. Van Osch Film Produkties is busy gathering material to make a documentary about the Dakota airplane that belongs to the Wings of Liberation Museum in Best, The Netherlands. This plane got severely damaged during transportation to the Soldier of Orange musical. In the documentary this airplane will be telling her own life story. For this documentary we are looking for photos and video material (we would also like to receive home videos!) from the period 1987 to 2002 in which this airplane (registration F-BAIF) was placed on a pole outside the Victory Memorial Museum in Arlon, Belgium. Potez 33 datafile on line at "Belgian Wings"
A new datafile on the Belgian "Aéronautique Militaire" Potez 33 light transport aircraft can now be found on the continuously growing "Belgian" Wings" reference site. Op 20 juni 2012 kreeg het team Operationele Directie 'Waarnemingen' van Dr. Steven Dewitte van het Koninklijk Meteorologisch Instituut van België (KMI) het bericht dat het project 'SIMBA' geselecteerd werd om deel uit te maken van het CubeSat project QB50. 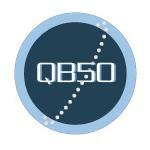 Het QB50-project, dat geleid wordt door het Von Karman Instituur in België, bestaat uit vijftig kleine CubeSat satellietjes die voornamelijk atmosferisch onderzoek gaan uitvoeren op een hoogte van ongeveer 320 kilometer. Deze kleine kunstmaantjes zullen eind 2014 in de ruimte gebracht worden vanuit een onderzeeër in de Barentszee in de buurt van Murmansk. SIMBA staat voor 'Sun-earth IMBAlance' en is een hoogtechnologische radiometer die zowel zal meten hoe de Zon de Aarde opwarmt alsook hoe de Aarde afkoelt door het uitzenden van infrarode straling. Door dit te onderzoeken, kunnen wetenschappers meten hoeveel netto-energie er van de Zon op onze planeet achterblijft en welk effect dit heeft op het klimaat en de mens. Het SIMBA-instrument werd ontwikkeld door het KMI in samenwerking met de Koninklijke Sterrenwacht van België, het Franse onderzoek laboratorium LATMOS, de Vrije Universiteit van Brussel en de Universiteit van Luik, in het kader van het Solar Terrestrial Center of Excellence. Het uiteindelijke vluchtmodel zal gebouwd worden door het ervaren KMI-radiometer team dat ondermeer ook de Sova-Picard radiometer ontwikkelde. SIMBA zal meevliegen tijdens een voorbereidende vlucht op een hoogte van 500 kilometer. Voor de financiering van het SIMBA-project zal een voorstel ingediend worden in het Prodex-programma van het Federale Wetenschapsbeleid. 3 new dummies are installed near the F-16 and the mirage F1. Thanks to the generosity of some donators, the public can now see a Belgian pilot and a female mechanic wearing the equipment used on external operations. Near the F1, this is a French pilot wearing a desert flightsuit which is installed. Vous êtes invité à consulter l'album de Luc. Cet album contient 14 fichiers. Créé à la demande de l'USAF, le F-104 Starfighter connut une carrière assez brève dans son pays d'origine et le nombre d'unités qui en furent dotées peu élevé. Mais l'avionneur Lockheed croyait en son avion et le proposa rapidement à l'exportation dans le cadre de ce que l'on appela à l'époque le « Marché du siècle ». Le succès fut au rendez vous puisque plus de 80 % des Starfighter produits, y compris sous licence en Europe, au Japon et au Canada, furent utilisés par une douzaine de pays. Pour gérer vos abonnements aux alertes et lettres d'informations Histoire & Collections, cliquez ici. La collaboration entre forces aériennes dans différents domaines, et notamment la formation des pilotes, n'est pas une nouveauté. Bien avant la création de l'AJeTS de Cazaux, la Force Aérienne s'était déjà lancée dans cette voie. 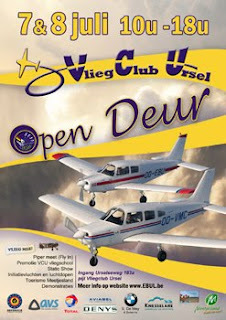 This week end we reached 100.000 visits since we started the Belgianaviationnews.be experience in March 2011. This results show that a cooperation model is successful in Belgium. Thanks to Daniel, all the Philippes, all the Serges, Vincent, Dirk, Eric, André, Frans, Dave, Simon, Jules, all the Luc and so much other who a way or another share with us their information everyday. I promises, we will have a drink to celebrate the event but not all of you at the same time. Do not hesitate to share our information with your friends or send us news. Mehdi In my world : Another one is gone : Guy Lebizay. Encore un qui est parti. Sa fiche est dans le livre 349 SQ de de Win. Message received from Léon Rubin, R.A.F. - S.A.A.F. Foundation. I have just been adviced of the decease of our member Guy LEBIZAY - R.A.F. 1814815 - Avenue des Grands Prix, 7 - 1150 Brussels - Age 89. Pilot R.A.F. 40 - 45 - SABENA career 1946 - 1976. En ce qui concerne Guy Lebizay, André m'en avait parlé lorsque nous nous rendions chez Robert " Bobby " Laumans ( mercredi 16 mai 2012 ). 25 novembre 1941 : Quitte la Belgique pour la France. 28 novembre 1941 : Arrêté en France. Emprisonné au Fort de Paillet à Lyon. 20 mai 1942 : Procédure de libération pour Gibraltar. Arrivée à Gibraltar. 15 juillet 1942 : Arrivée en Grande - Bretagne, à Greenock, à bord du S.S. Nakunda. 11 août 1942 : Engagé dans les Forces belges en Grande - Bretagne ( Cie Adm / MDN ). 9 septembre 1942 : Affecté au dépôt de l'Aéronautique Militaire. 19 novembre 1942 : Dépôt de la R.A.F. à Regent's Park. 2 janvier 1943 : 17 Initial Training Wing. 16 mars 1943 : 6 Elementary Flying Training School. 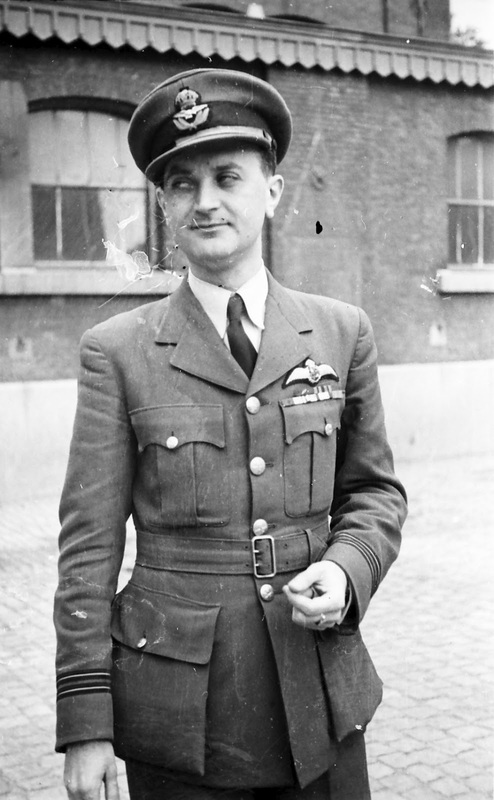 26 mars 1943 : Leading Aircraftman ( aviateur de première classe ). 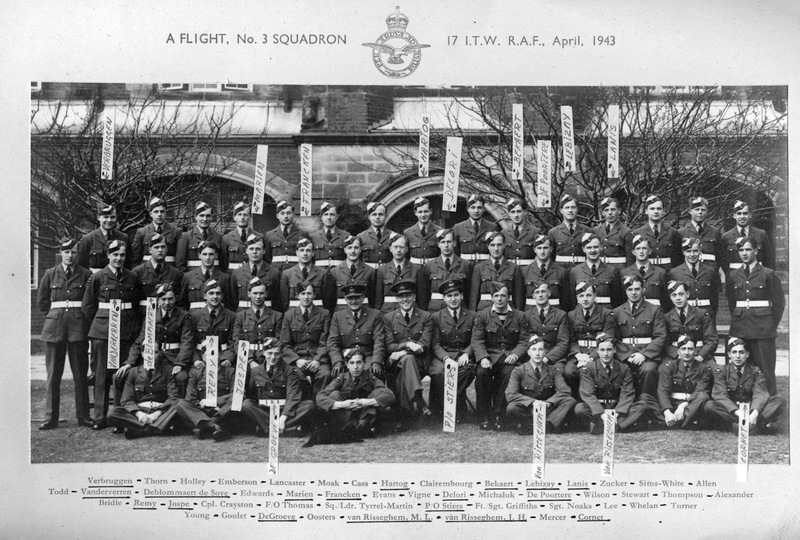 21 mai 1943 : 2 Air Crew Dispatch Centre. 24 juin 1943 : Personnel Dispatch Centre - Ottawa. 12 juillet 1943 : 31 Elementary Flying Training School. 6 septembre 1943 : 34 Service Flying Training School. 28 janvier 1944 : 31 Personnel Dispatch Centre. Sergeant ( sergent ). 26 mars 1944 : 7 Personnel Receiving Centre. 28 août 1944 : 22 Aircrew Holding Unit. 19 septembre 1944 : 5 Pilot Advanced Flying Unit. 24 janvier 1945 : Flight Sergeant ( sergent - chef ). 20 février 1945 : 53 Operational Training Unit. 24 avril 1945 : 84 Group Support Unit. 30 juin 1945 : Pilot Officer ( sous - lieutenant ). 26 septembre 1945 : 349 " Belgian " Squadron. 30 décembre 1945 : Flying Officer ( lieutenant ). 7 avril 1946 : Quitte la R.A.F. En congé sans solde. Dépôt de l'Armée N°1. P.S. : Merci à André Bar pour l'information et les photos. If you wish to be added to or removed from our lists let us know. - 20 juin 2012 : Reportage : Epervier 2012 à Payerne. Cigognes, Faucons et Panthères dans le ciel broyard. - 20 juin 2012 : Reportages : La Ferté Alais, le temps des hélices. - 20 juin 2012 : Galeries : Des photos en provenance d'Afrique. - 20 juin 2012 : BD : Florennes Air Base …60 ans déjà. Retour sur une BD sur la base de Florennes. - 20 juin 2012 : Galeries : Des photos prises à Bruxelles-National. - 20 juin 2012 : Reportages : Roma International Airshow. Meeting aérien sur la plage de Rome. - 20 juin 2012 : Galeries : 2 heures à Ciampino. - 20 juin 2012 : Histoire : VLM. historique de la compagnie flamande. - 20 juin 2012 : Galeries : Liège Airport. P-47 Thunderbolt and P-38 Lightning fighter aircraft in flight in Florennes, Belgium. Activities in Florennes, Belgium in the European Theater Of Operations (ETO). US aircraft P-38 Lightning in flight. Fighter aircraft P-47 Thunderbolt in flight. Fighter aircraft P-47 Thunderbolt in flight. P-38 Lightning taxiing on perimeter at Florennes, Belgium. P-47 Thunderbolt in flight. P-47D Thunderbolt with bubble canopy warming up and taxiing. P-47 Thunderbolt in flight. P-47D Thunderbolt and P-47 Thunderbolt taxiing. P-47D Thunderbolt in flight. United States fighter aircraft P-38 Lightning in flight in Florennes, Belgium. Florennes, Belgium in the European Theater Of Operations (ETO). A large formation of aircraft in flight. View of a wooded area. Four P-38 Lightning in flight in formation. Remagen Bridge entrance in view. United States anti-aircraft position in the entrance of the bridge. P-38 Lightning in flight. Fighter aircraft P-38 Lightning and L-4 Grasshopper in flight in Florennes, Belgium. Activities in Florennes, Belgium in the European Theater Of Operations (ETO). Damaged two-story building near the Rhine River. Remagen Bridge in view. A railroad tunnel in a hill. Manned antiaircraft gun position. A man looks through binoculars. An aircraft crashes. A plane in flight. United States aircraft P-38 Lightning in flight. Antiaircraft guns (flak) fired. Several P-38 Lightning aircraft in flight. L-4 Grasshopper aircraft in flight. USAAC P-47 and P-38 fighter planes operating at Florennes airfield, Belgium, during World War II. A squadron of P-47 aircraft from the U.S. Army Air Corps (USAAC) 365th Fighter Group, landing at Florennes airfield (A-78) in Belgium near the end of World War 2, in Europe. P-47s overhead in formation. P-38 aircraft of the 474th Fighter Group taking off from the airfield. US .Army Air Corps (USAAC) fighter planes operating at Florennes/Juzaine airfield (A-78), Belgium, near the end of World War 2, in Europe. P-61A serial 42-5575 "No Love, No Nothing II" of the 422nd Night fighter Squadron, holding short of the active runway, as several P-47s, of the 365th Fighter Group, land. The P61 takes the active and departs. A P-38 Lightning fighter taking off. It has red diamond on outer sides of its tails identifying it as from the 429th Fighter Squadron, 474th Fighter Group. An olive drab P-47 , without markings, parked across from a junkyard of airplane parts. An airman rummaging through the parts. Army vehicles and ground crews amongst several parked P-47 thunderbolt fighter aircraft. Various United States fighters and bombers take off and land at an airstrip in Belgium during World War II. Various US bombers and fighters land on an airstrip in Belgium. P-47s with bubble canopies taxi in a single file from a flight line along a curved paved strip in Belgium. Various United States fighter and bomber aircraft at an airfield in Belgium. [Slate states airfield # 78, which would be Florennes/Juzaine Airfield, Belgium. But it may actually be Le Culot Airfield (A-89) where P-47s of the 36th and 373rd Fighter Groups were based.] A large number of P-47 Thunderbolt fighter planes parked on a flight line. A B-17G Flying Fortress bomber parked in background. P-47s with bubble canopies taxi in single file from the flight line along a curved taxi strip. A short US Army feature entitled,"Black Widow" AND "Jato." Introduction is overlayed on map of Europe. 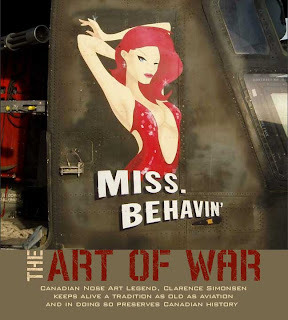 Opening sequence features P-61 Black Widows of the 422nd Night Fighter Squadron, stationed at Florennes/Juzaine (A-78), Belgium, during World War 2, Some of the aircraft are identifiable: P-61A 42-5577 (later nicknamed "Tactless Texan") and "Wandering Wench" (P-61A 42-5590). Narrator states their mission is to intercept German "flying bombs." Mixed footage of P-61s at various places and times, includes some with D-Day invasion stripes. Separate JATO-related footage features USN personnel fitting jet-assisted takeoff bottles on a Grumman F6F-3, possibly at NAS Patuxent River facility, Maryland. Later sequences show a JATO takeoffs by a Douglas SBD, and an F6F-3; and normal takeoff by a Grumman TBF, and a JATO takeoff by a Grumman F4F. 7 en 8 juli 2012. Et encore un qui s'en va!!!!!! Notre ami et membre Daniel COLIN ( 77e Prom. B.A.F., 1939 ) est décédé ce 31 mai ; il avait 97 ans. Les funérailles auront lieu le jeudi 7 juin à 11h00. Onze vriend en lid Daniel COLIN ( 77e Prom. B.A.F., 1939 ) is op 31 mei overleden. Hij was 97. Zijn begrafenisdienst heeft plaats op donderdag 7 juni 11u00. Réunion/bijeenkomst : Église St - Henri, Parvis St - Henri 18, 1200 Woluwé - St - Lambert. et décédé à Woluwé - Saint - Lambert le 31 mai 2012.
en l'église Saint - Henri le jeudi 7 juin 2012 à 11 heures. ( 18 parvis Saint - Henri à 1200 Bruxelles ). L'inhumation au cimetière se fera dans l'intimité familiale. Le présent avis tient lieu de faire - part. Je ne connaissais pas Daniel Colin. Ses nom et prénom se trouvaient sur la liste des " Vieilles Tiges ", offerte par Henri Branders, mais j'ignorais qu'il avait volé en opérations au sein de la South African Air Force ( S.A.A.F. ). Engagé dans la S.A.A.F., Daniel Colin débute son entraînement en Afrique du Sud, sur bimoteur. Il le poursuit et le termine au Kenya, au sein de la 72 O.T.U. ( Operational Training Unit ) de la R.A.F. à Nanuyki. Au mois de février 1943, il est affecté au 12 S.A.A.F. 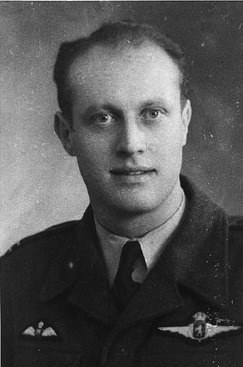 Squadron ( Tripolitaine, Lybie ), grâce à la présence de Gérard Greindl D.F.C., pilote belge au sein de ce même Squadron. Sur place, Daniel Colin vole sur Douglas A - 20 Havoc, un bombardier bimoteur de fabrication américaine ( appelé Boston par les forces britanniques et du Commonwealth ). Le 26 février 1943, il accompli sa première mission opérationnelle : un raid nocturne sur la ligne Mareth. Les raids se succèdent, ainsi que les déplacements, puisque le Squadron se retrouve à Médénine en Tunisie ( 5 avril 1943 ). Après la victoire en Afrique du Nord, le Squadron débute de nouveaux raids avec la campagne de Sicile. Le 21 juillet, Daniel Colin quitte la Tunisie pour opérer à partir de Malte. La Sicile étant conquise, la campagne d'Italie peut commencer. Un nouveau déménagement voit le Squadron fouler le sol sicilien, à Gerbini. Avec 54 raids à son actif, Daniel Colin rejoint la base de Foggia en Italie ( 21 octobre 1943 ). Suite à des informations transmises par quatre officiers aviateurs yougoslaves, le 12 Squadron délaisse momentanément le front italien. Servant sous la férule des Allemands, ils avaient profité d'un déplacement en avion pour se rendrent aux Alliés. Le 1er novembre, le Squadron décolle pour aller bombarder des navires dans le port de Split ( Yougoslavie ). Daniel Colin effectue son 73ème et dernier raid, le 3 décembre 1943. Il rentre avec un trou d'obus dans son aile gauche. Retiré des opérations, Daniel Colin est envoyé en congé en Égypte, au Caire. Après la guerre, il s'engage dans la R.A.F. P.S. : Merci beaucoup à André Bar pour m'avoir transmis l'information et une copie des " NOTES DE GUERRE " de Daniel Colin. 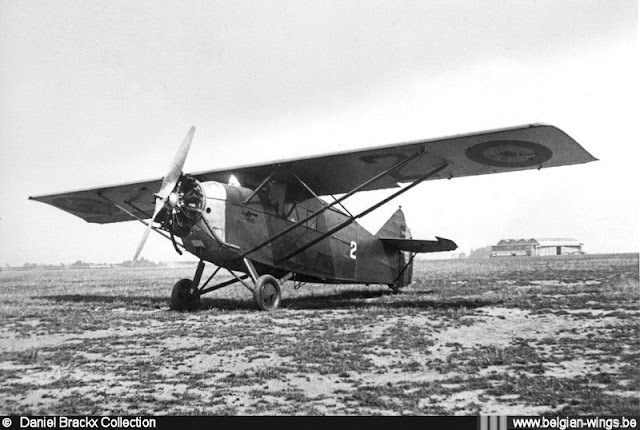 Video: "369SQN Winter Flight (Piper Cub Pa-18)"
Video: "La Ferté-Allais Meeting AJBS 1993"